DoubleTree Suites by Hilton is located walking distance (.5 miles) from the Galleria which has 236 shops and restaurants for your enjoyment. This hotel has some of the best amenities in the area such as a full business center, fitness center, heated outdoor swimming pool and complimentary transportation within a three-mile radius. There are three restaurants on site: Terrace Bar & Grill, The Chef's Table, and Cyber Cafe'. If you enjoy exercising outside, take advantage of the nearby 2.5-mile paved track. The Dallas zoo is just a short drive away and the hotel is about 20 minutes from the airport. 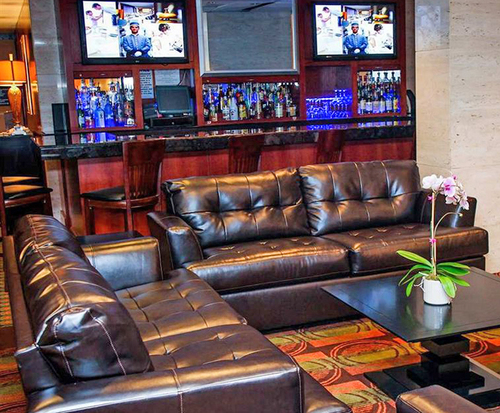 The Galleria location of the DoubleTree is the perfect place to relax. There are 290 available guest rooms with two comfortable queen or a king-sized bed. Stay in the social loop or updated at work with the internet service available in every room. Catch all your favorite shows with in-room cable and on-demand movies. 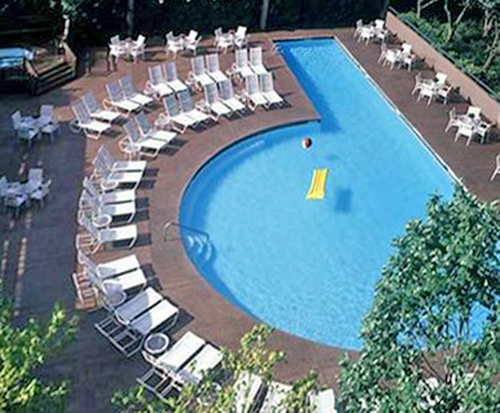 Enjoy the pool or fitness center for entertainment right inside the hotel. Every contemporary room is non-smoking and boasts a 42• flat screen TV with cable, an oversized desk and air conditioning, a clock radio with MP3 player connection for your iPod, coffee maker, hairdryer, iron and board and complimentary remote printing. Suites are also available with large bathrooms including upscale bath products. Executive suites are two-stories including kitchens, separate living areas, and a separate bedroom. The best restaurant and shopping choices are at the nearby Galleria. 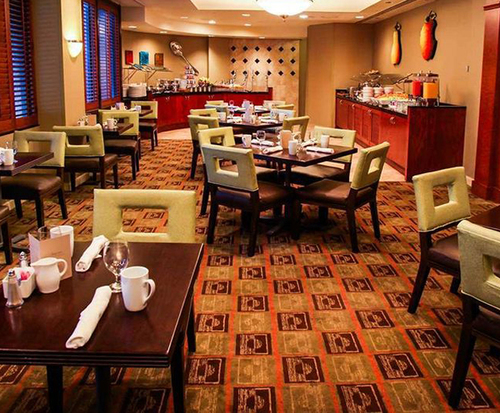 The on-site restaurants are also available for convenient access to a great meal.